Raymondo is a story of brotherhood, loss, incarceration, escape, survival, desire, art and resilience. It is a story about the shittiness of others, the kindness of others, and love. 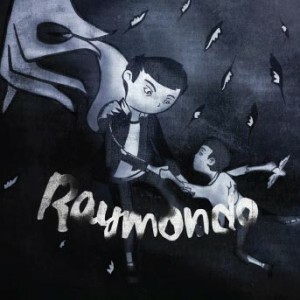 Simply told by a woman with a microphone and an atmospheric live score of guitars, loops and keyboard, Raymondo is a raw, dark, funny and tender lyrical narrative that will sear through your defences straight to your heart. Written and performed by Annie Siddons. Performed by Daniel Green. Composed by Marcus Hamblett. Directed by Justin Audibert. Produced by Ruby Glaskin. "Wonderfully witty and emotionally potent"